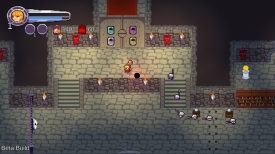 "A fast paced top down shooter"
In Castle Outlaws you play as a young magical woman whose allies castles have been overtaken by enemies, you must defeat enemies in different areas of these castles to unlock further parts of the map so and try to banish the enemies from all areas and castles of your allies. The game is in a top down view with charming pixel art and incredibly fast paced and non stop game play as the enemies come at you in ever increasing waves, you must use your abilities and movement to try to remain alive as each horde of enemies comes towards you. The more enemies that you kill the more coins that you gain that can be used to unlock further areas within the game. There are also two further characters who you are able to unlock as the game progresses, each with there own specialized attacks and abilities, you will need to master all of these to be able to compete with the hordes of enemies that can come at any time from any direction. 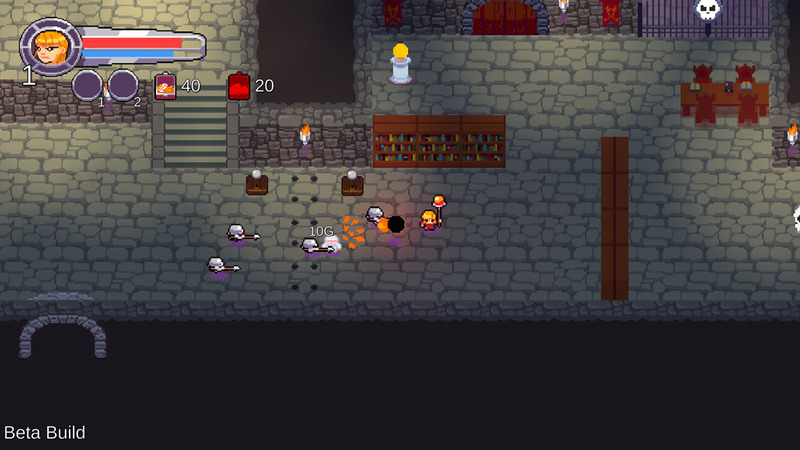 Castle Outlaws is a visually fun and frenetic game that doesn't let up, fans of pixel art and bullet hell games should find this a very enjoyable free game. You can download Castle Outlaws here for free.